Questioning the loyalty and ‘desi-ness’, for the perceived crime of improperly pronouncing Urdu words, is simply unacceptable. We are not a sitar with a single string, and our music takes more than one chord to make. We are a convergence of languages and cultures, all of which are simply too lustrous to be overshadowed by any single one. Yet Urdu is not considered a language; it is an apparatus used to measure patriotism. It is a test that is used to verify one’s allegiance to our green and white flag. Isn’t this an awkward status to have bestowed upon Urdu, considering hardly eight percent of Pakistanis speak it as their mother tongue? On the other hand, Punjabi happens to be the first language of 44% of Pakistanis. It is what they comfortably speaking at home, that is, when they are not busy using Urdu to affirm their ‘Pakistani-ness’ to the rest of the nation. It is this affirmation that we did not receive from our now-separated eastern half, which insisted on speaking Bengali. Although it would be sinfully simplistic to claim that East Pakistan broke off due to a failure to add Bengali to our holy pedestal of official languages, there are very few who say that West Pakistan’s lack of resilience in this matter did not stoke the flames in 1971. Perhaps our fault lies in the fact that we often impart more meaning to a language than is necessary. After all, English has been unofficially dubbed the language of the elite, and many pompously speak it to impress upon the listener the quality of education that they have received. Similarly, a person may speak Urdu to remind us of his love for Pakistan. While there are many who mourn the imagined death of Urdu language and literature, there are few who lament the decimation of Punjabi. Once the wand with which Bulleh Shah cast his culture-enriching magic, Punjabi is now a language of uneducated village folk best known for jugat, or witty banter. The fact that I can even name a few Punjabi poets is heartening, because I do not think that I can even name Bulleh Shah’s counterpart for the Balochi language. God alone knows which dead or dying languages there are in the south, trampled beneath the feet of the giants that are English and Urdu. My sincere gratitude goes out to whichever chirping cricket is offering them company at their death beds. If these dismal metaphors upset you, here is another theory for you to consider. Our languages are not dying – rather, they are evolving. They are flowing into one another, donating words and importing phrases. This adulteration is not an injustice unique to Urdu; it is something that all languages go through. A case in point is the multitude of blogs, articles and newspaper columns criticising the ‘destruction’ of the English language by internet jargon. Yes, Urdu plays a significant role in Pakistan, being the common language which allows a Sindhi and a Pashtun to communicate with words, rather than awkward gestures. However, excessive glorification of Urdu as being symbolic of one’s Pakistani nationality is frankly an insult to the non-Urdu speaking citizens of this country. Questioning their loyalty and ‘desi-ness’, for the perceived crime of improperly pronouncing Urdu words, is simply unacceptable. Yes, they should leave Urdu alone. Make English the National Language of Pakistan. Urdu should be re-labelled as a regional-local language – as Gujrati. Perhaps once this has been achieved, the hatred for (so-called) Urdu-speakers will also start to wane………. wishful thinking? This 8% figure for Urdu is highly dubious. 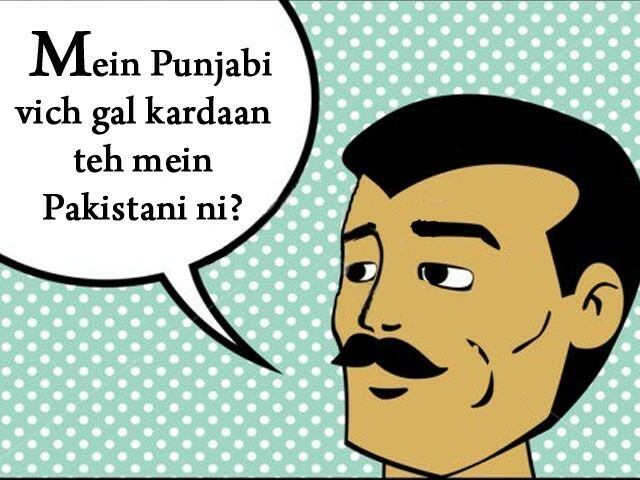 Punjabi Parents tend to speak Urdu with their kids. I am not sure about other regional languages. So you are saying that this is Urdu Speaking people’s fault? So what i can decipher from your comment that it is absolutely not allowed to talk anything about Punjab?. The only thing that is allowed to be talked about is to find out ways and means to Hate the People of Punjab??. Let me tell you that The culture and language of every region is as important as any other thing. Believe me one Homogeneous culture in one particular region brings harmony and Religious extremism tone down automatically when People identify themselves with one identity based on Geography, Language and Culture. Lack of cultural representation force you to be identified with some other identity and in our case it is the Religion and look what this identity is giving us right now. Punjabi, of course, was just one example that I’d given to make a larger point, which is that patriotism is not measured by one’s command of Urdu in particular, since we’re a nation that speaks many languages. Yes, Urdu and ‘Persian’. Your national anthem is in farsi. Maybe you should learn farsi too, lest we start to question your patriotism. I think your comprehension and reading skills are below than normal since you never misunderstood my comment and replying for the sake of criticism without having any logical rationale whatsoever..
Also i would suggest the people like you to visit EUROPE someday so you could understand that Culture is not a matter of Ego but a matter of Homogeneity among the masses and culture evolution is quintessential for a survival of some nation as well. Also I dont want to dwell into Arab or Indian discussion because so called liberals of Pakistan want to drag this discussion everywhere but it is absolutely off topic for me. I wonder why Punjabis have problems with Urdu. Punjab is the most densely populated province of Pakistan and therefore a majority of the population lives there and speaks Punjabi. I have never in my entire life seen any Sindhi, any Balochi, or any Pashtun criticizing Urdu or its native speakers. Urdu is the national language of Pakistan. We cannot make Punjabi the national language just because majority of the population speaks it. What meaningless reply!! There are more important issues! Then why bother to read and then reply to thin waste of time? It seems like you’re referring to an earlier blog on ET about Urdu being a “servant’s language”. Yes, such remarks are vile on multiple levels. You do, however, contradict yourself in your comment. You first echo my own opinion about refusal to speak Urdu not making one a lesser Pakistani, followed by the proposition that Urdu is the “language of people of Pakistan” and that I should “make Pakistan first and then Punjab”. Fair enough. As it happens, I can convey my ideas much more effectively in English than in Punjabi. Equating patriotism with language was pure mischief making in order to create division and was formulated by our politicians. Punjabi /pʌnˈdʒɑːbi/ (Gurmukhi: ਪੰਜਾਬੀ; Devanagari: पंजाबी; Shahmukhi: پنجابی) is an Indo-Aryan language spoken by 102 million native speakers worldwide, making it the 9th most widely spoken language (2010)  in the world. 4% i.e. 40 million Indians speak Punjabi out of WW figure of 102 m.
North Americans and Brits do not understand Punjabi leave alone understanding the diction. People from the sub-continent and that too from Punjab perhaps hear the difference. The country was India, the area Punjab where Punjabi was spoken BEFORE the advent of Islam in India. How is Pakistani Punjabi older? I guess you didn’t hear Mulayam’s speech. He was not at all proposing the hindi as the “only” language, but was complaining about excessive use of English. Both are different matters,please don’t blame “Hindi” or “Hindi nationalism” every time when English is opposed in India. He said speak Indian languages in Indian Parliament whether it be Hindi,Tamil,malayalam,kannad but not english. Although being a stupid politican himself,hestill is ware of the fact that India is a multilingual,multicultural country and our destiny is in our own languages not in a foreign toungue.Contrary to Pakistan India has no national laguage but 21 official languages all of them would be treated as ‘national’ as per the Supreme court’s hearing,plus the government already has proposals to include many more regional laguages to include in the 8th section. Sorry – I beg to disagree. Culture is a defining feature of a person’s identity. Language is intrinsic to the expression of culture, as a means of communicating values, beliefs and customs. It has an important social function and fosters feelings of group identity and solidarity. It is the means by which culture and its traditions and shared values may be conveyed and preserved. Language is fundamental to a cultural identity. I am criticizing on methodology of census and not on your quote. It does it wrong and i know it because i am part of it. People (Mostly Punjabi) register themselves as Punjabi speaking but they do not speak Punjabi with kids although the whole family is registered as Punjabi speaking. Urdu is much more widespread than Just 8% in Pakistan. To repeat………..please leave Urdu alone. English should be the National language of Pakistan. Urdu can remain the status of a language of literature in those who want to study the same at University. Let Pakistanis speak to one another in their ‘own’ regional languages. It will be great for the much despised Urdu-speaking to be free of the burden of this whole fiasco! However, judging from the standard of English in most Pakistani newspapers (and the online commentariat), it will great fun to see the Tower of Babel that will soon emerge. I think the writer is completely wrong is his assumption that the use of Urdu is somehow linked with any sense of patriotism or national identity. Forget its status as the national language for a second, the use of Urdu or English by most urban Pakistani’s is more closely lined with issues of class (added prestige compared to Punjabi which is seen as provincial and uncouth) and the social stigma attached to the regional languages. If you had said Pakistan could have been like Europe with each country having its own unique identity while simultaneously having. A pan European identity, I would have agreed. But when you say that it is like that, I find that strange. It is like Saudi Arabia (and I am not trying to drag in. 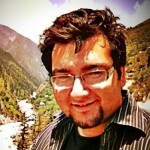 The Ondian Arab debate here) in the sense that there is legal discrimination against Muslims, there are laws like ehteram- e-Ramzan which are pushed down the throats of non-Muslims and as the blogger has indicated there is a concerted attempt to downplay language and culture of other provinces. Correction our first National Anthem was in Urdu which was approved By Quaid-e-Azam and was played the first time Radio Pakistan Started its service. It was written by Jaggannath Azad but beacuse of our fear of Hindus we changed it and replaced it with farsi version written by Rehmat Ali. Quaid i Azam had declared Urdu as the national Language Period. 8% is actually pretty close to true. Remember, the slice of Pakistani population that you’re accustomed to seeing everyday – upper middle-class urbanites – are in no way representative of the overall Pakistani population. There are barely any Urdu-speaking rural areas on our map, which cover roughly three-quarters of Pakistan. Very true.. but the concept would have been more clear if Sindhi, Balochi and Pashto language were also considered. Those languages have been considered in this blog. Agree with you that English is one of he 22 official languages of India and if people choose to speak in Enlish, that is fine. Having said that @Another Indian is quite correct in pointing out that the example you gave does not fit in the context of this blog. Mulayam wasn’t pushing Hindi to the exclusion of other native Indian languages in the manner that Urdu has been pushed in Pakistan at the cost of native Pakistani languages from 1947 as is well documented.. Nor was he making it a test of patriotism that people spoke in Hindi – the issue that Faraz refers to. You say this now “Second, I don’t understand your question – Urdu is foreign in origin to Pakistan (just as English is to India)” but that is inconsistent with what you said earlier “You consider English a foreign tongue, I don’t; “. The two statements are inconsistent. I agree with what you say now. Secondly, encouraging people to speak in Hindi is very different from forcing them to. In India, government schools can and do use local language rather than Hindi as a medium of instruction. Civil services exams too can be in any of the languages in schedule 8. That choice exists for both written and oral exams. Urdu is and will be used as national language to bridge the gap between the different provinces and most pakistanis are fluent in it. ALSO THEY ARE FREE TO SPEAK LOCAL LANGUAGES. What do you have to say on english ?? Is it the language of your forefathers ? Or only language of success as quoted by liberals and proved wrong by most successful countries on earth ! It is ENGLISH supremacists who impose english language and culture down your throat ! Urdu is made FOR pakistan (check history). Urdu is and will be used as national language to bridge the gap between the different provinces and most pakistanis are fluent in it. ALSO THEY ARE FREE TO SPEAK LOCAL LANGUAGES. People need to know that most successful countries rely completely on their own language and not some other language. Hence, we should strongly make a transition to URDU and eventually make it official language inshallah. NO ONE CALLS A PUNJABI SPEAKER A NON PAKISTANI.